1. You may enter the Greater Sydney Conference giveaways by visiting www.facebook.com/sydneyadventists and following the instructions as directed in the post promoting the giveaway. No purchase necessary. 2. Entries via Facebook are limited to one per person. To be eligible, entries must be submitted electronically by the date specified in the contest announcement (the contest closing date). 3. No responsibility is assumed by Greater Sydney Conference or the sponsor(s) for any lost, late, damaged, destroyed or misdirected entries or for any faulty electronic data transmission, equipment failure or other online communication problems occurring in connection with participation in this contest. Entries which are illegible will be declared invalid. Total number of available prizes will be listed within the contest details on the post. Associated value is available upon request. 4. The contest will run from the posting date to the contest end date, as specified in the contest posting. A random draw will be made after the closing date from all eligible entries received on or before the contest closing date. Following the draw, all selected entrants will be contacted and asked to provide mailing information. 5. The chances of being selected depend upon the number of eligible entries received. 7. To win, selected entrants must have complied with the official contest rules. 8. Winners must acknowledge receipt of notification of their win within seven (7) days of the initial notification or unless otherwise specified by email. Greater Sydney Conference will attempt to contact winners at least twice during this period, however reserves the right to select a new winner by re-drawing on the 8th day if no contact is made by the winner. 9. This contest is open only to residents of the Greater Sydney area (including Katoomba and Wollongong), Norfolk Island and Lord Howe Island of the age of majority in their province of residence, except employees of Seventh-day Adventist Church (Greater Sydney Conference) Ltd and members of the respective immediate families of such employees. Where school giveaways are being held, employees of Seventh-day Adventist Schools (Greater Sydney) Ltd are excluded from eligibility. 10. The names of all prize winners may be published on www.facebook.com/sydneyadventists with the winner’s permission. 11. Prizes will be mailed by Greater Sydney Conference via post or courier to each winner. Greater Sydney Conference reserves the right to make substitutions of equivalent kind or approximate value in the event of the unavailability of the prize or any component thereof. 12. Decisions of the contest committee are final. 13. All entries become the property of Greater Sydney Conference. Greater Sydney Conference reserves the right, in its sole and absolute discretion, to publish any winner’s name without further compensation to the winner pursuant to section 10 above. Only one prize per family, per household or per address will be awarded. 14. In the event of a dispute regarding submission of an online entry, the entry will be deemed submitted by the holder of the email account. 15. Greater Sydney Conference reserves the right to withdraw, terminate or modify all or any part of this contest by publishing a notice on sydney.adventist.org.au if for any reason the contest is not capable of running as planned, including technical failure or corruption, computer virus, tampering, unauthorized intervention, fraud or any other cause beyond the control of Greater Sydney Conference, which in the opinion of Greater Sydney Conference affects the administration, security, fairness, integrity or proper conduct of this contest. 16. This contest is subject to all applicable federal and provincial laws. 17. No responsibility is claimed by Greater Sydney Conference or any associated sponsors for any loss, injury, or damage to property resulting directly or indirectly from participation in the contest and/or items obtained in the contest, including the loss of or damage to items during the shipping process. 18. These standard terms apply for all contests that do not have contest terms posted that are specific to that contest. Contest rules posted to specific to individual contests take precedence over these standard terms. 19. 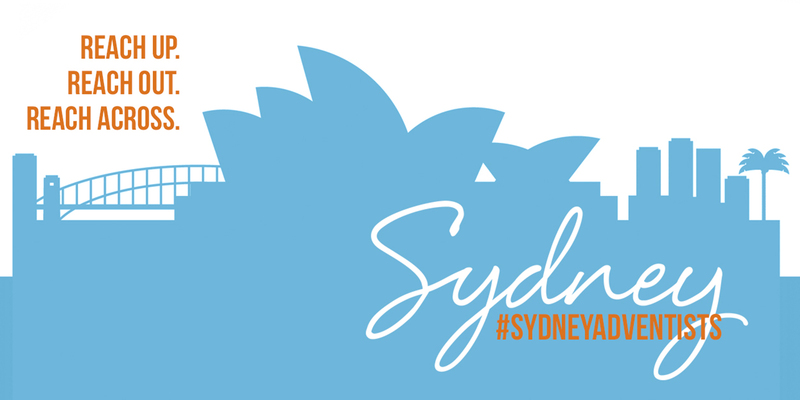 Greater Sydney Conference will use the contact information provided in contest entries for administration of this contest. Greater Sydney Conference will not share your personal information with a third-party without your prior written consent. Are you on Facebook? So are we! Follow us at www.facebook.com/sydneyadventists. We’re also on at. twitter.com/SydneyAdventist!